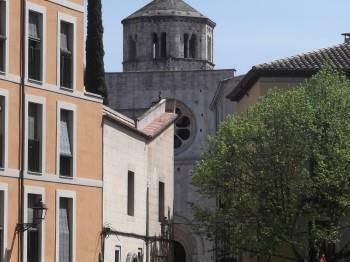 The apartment is located in the Old Quarter of Girona, this is a charming and quiet zone, with many beautiful tourist places to visit as the Arab Baths or the Cathedral. Morover the apartment is located just 10 minutes to the shopping area and 15 minutes to the bus and the train station. 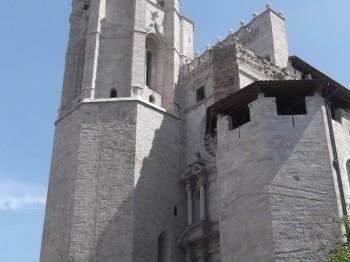 Bellaire Street is located a few meters from the Monastery of Sant Pere de Galligants. Easily accessible and well connected. Near the apartment you will find everything you need for your stay in Girona: grocery, bakery, bars and restaurants and especially much to see! Go to the Plaza of the Museum of Archaeology, the monastery of Sant Pere de Galligants and climbs up: waiting for you the Sant Daniel valley, the gardens of John Lennon, the Roman Baths, Square juries and more. 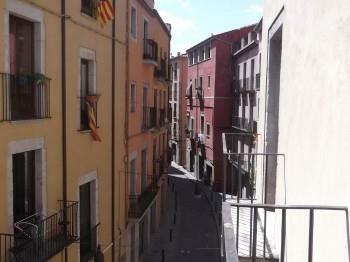 Apartment in Girona for short stays. Adapted accommodation with all comforts, air conditioning, heating, elevator and small indoor patio. Parquet floors and furnished in a modern, practical and sunny style ideal for families looking for well-being during their stay. The apartment consists of 3 rooms: one double room and two single rooms. With bathroom, dining room and sofa-bed. 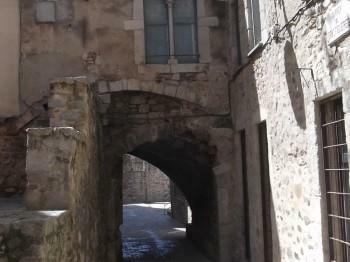 Apartment in Old Town of Girona, close to the Monastery of St. Daniel. Bellaire street is a street with nice views of St. Peter's Square and the current Archaeological Museum of Girona, where you can access the oldest part of the old town: the Arab Baths, the Juries square and the Valley of San Daniel and the area within the walls like the cathedral, the Basilica of Sant Feliu, the Jewish among others.